The Final Fantasy series needs no introduction. It defined the RPG genre. With every release, Squaresoft Square Enix takes Final Fantasy to the next level and raises the bar in what people expect in an RPG. Every Final Fantasy has beautiful graphics, dazzling animation, awesome battles, a superb soundtrack, lovable characters, and an engaging story. Up until Final Fantasy X, each sequel was an entirely new game with a completely different battle system and a whole new set of characters. Character abilities revolve around a job system that gives them a specific assortment of attacks and magic. Jobs such as thief, black mage, summoner, knight, and more. Usually characters have a predefined job class. 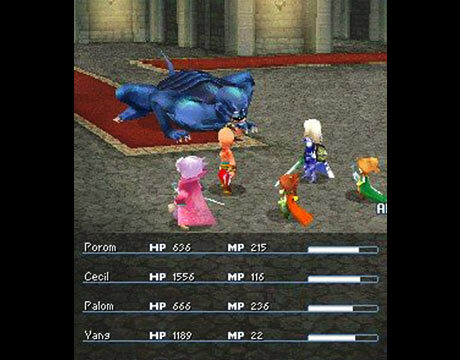 In some games you can choose the job class (Final Fantasy 5, Final Fantasy Tactics). In some games they gain abilities by equipping specials items (Esper shards in Final Fantasy VI). There's no question about Final Fantasy's popularity. When people talk about RPGs, they talk about Final Fantasy. Although there are plenty of fans (like me) who insist the older Final Fantasy's are better than the new ones (and it makes us sound old while we're at it! ); especially since they've moved on to action/RPG and are no longer traditional turn-based RPG. Ah, the original Final Fantasy! The one that started it all. Build a 4-character battle party choosing from a fighter, thief, black belt, red mage, white mage, or black mage. In all its 8-bit goodness, battle the four fiends and the archdemon Chaos to save the world from his treachery. Being that this was the shining original Final Fantasy, Square has re-released and remade it for a bunch of systems. If you think the graphics of the original are nasty, you should check out the remakes because the graphics are gorgeous. Squaresoft blew everyone away with Final Fantasy IV! 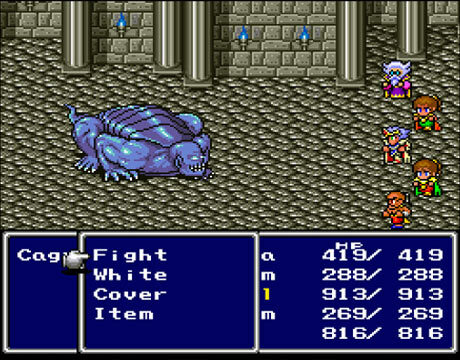 With their first attempt at making a 16-bit RPG, they ended up creating one of the best RPGs ever made. For the first time ever, an RPG had an in-depth story with a level of detail on par of a Hollywood movie. Join Cecil, the Dark Knight, as he conquests to defeat the evil Golbez. He meets powerful friends along the way who join him on his quest. Trek through ancient caves, mountains, sky high towers, underground worlds, the moon, and more! My favorite part of this game are the elaborate animated sequences. The infamous Final Fantasy that was never officially released in NA! It took until 1999 that it was officially released as part of the Final Fantasy Anthology on the PS1. However, in 1998 the Internet fanbase released a 100% English translation for the game, only to be played via SNES emulation. Anyhow, Final Fantasy 5 brought back the job class system, and with more jobs to choose from. You can even mix and max job abilities with different jobs, providing seemingly limitless possibilities during battle. The story is about the four crystals that control the world's elements. These crystals act as a seal on Exdeath, an evil sorcerer. You must keep the crystals from being exploited by Exdeath's influence and prevent his resurgence. This is my favorite Final Fantasy! It excels in every area. The soundtrack is excellent. The graphics and animation are absolutely gorgeous. It has a great set of characters. Each character has an interesting back story and a unique, fun assortment of abilities. The best part about the battle system are the Esper shards. Once equipped, your character can summon the Esper in battle and learn spells. This system allowed for every character to easily learn magic of every genre. The Espers play a big role in the story, so you fall in love with how awesome they are both during and outside of battles. The story begins with a woman with mysterious powers trying to find her place in the world. She gets dragged into a conflict caused by an ambitious empire. 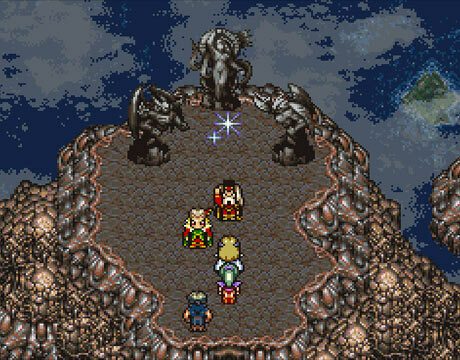 Kefka, an evil general of the empire, seeks to steal the power of all Espers and conquer the world. Stop him before he restarts the War of Magi, a war which almost destroyed the world in the previous era. Final Fantasy VII is probably the most popular Final Fantasy. It gave birth to spin-off games and even an awesome CGI movie. 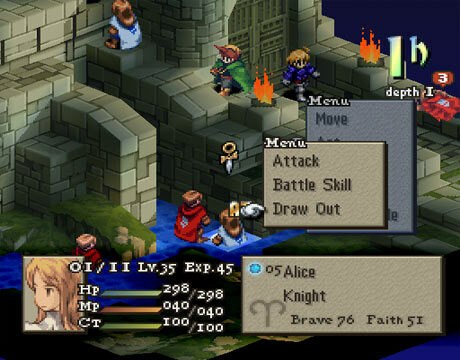 It was one of the first RPGs for the PlayStation 1. For the first time, battles are in full 3D. The 3D camera actively follows the action, giving a whole new movie-like gameplay experience. Outside of battle you are treated to gorgeous pre-rendered 3D backgrounds. In all their polygon goodness, all characters are fully animated in 3D. To go along with this new RPG experience is an incredible story about a corporation, Shinra, stealing too much life energy from the planet just to bring electricity to their city. While doing so, they created super soldiers infused with this energy. The strongest one, Sephiroth, goes crazy and wants to destroy the world. Stop Shinra and Sephiroth, and save the world! Although not raved as one of the best, Final Fantasy IX is a worthy addition to the series. 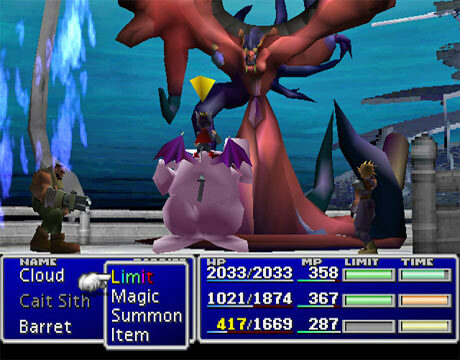 As the last Final Fantasy on the Playstation 1, it pushes the system to the limit with the highest quality graphics and animation as possible. Square aimed to get back to their roots. They upped the battle party from 3 characters back to 4 characters. Characters possess traditional job classes such as thief, black mage, white mage, dragoon, knight, and more. 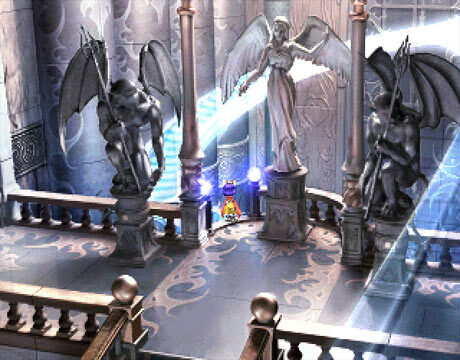 Familiar places and names are used from previous Final Fantasy's. The story is about an ambitious queen who wants to conquer the rivaling kingdoms of the world. The plot unfolds as a mysterious and powerful character, Kuja, makes an appearance and reveals his evil agenda to destroy everything. Thwart their efforts and save the world! Square brought the traditional Fantasy Fantasy job class system to a whole new level in Final Fantasy Tactics! 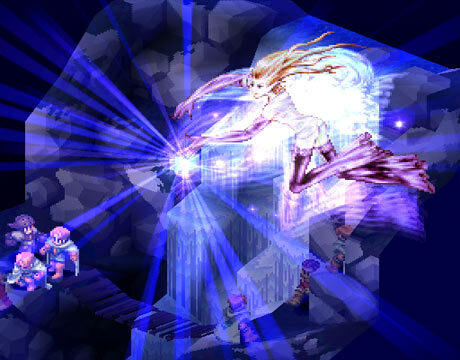 The mass selection of jobs is similar to that of Final Fantasy 5; they created new classes too. And just like Final Fantasy 5 you can mix and match job class abilities to create a magnitude of possibilities during battle. This is a strategy/RPG so battles involve moving your army across a checkerboard-like battlefield to defeat the enemy army. 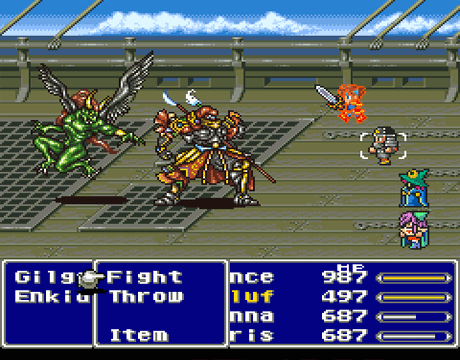 The mechanics of the battle system is very loyal to Final Fantasy traditions. For example, characters can be inflicted with the same ailments (poison, petrification, blindness, silence) as well as use the same spells and items to cure them. As for the story, if you're into war-type medieval dramas then Final Fantasy Tactics is right up your alley! Basically it's about the conflict between the rich and the poor, resulting in war (of course). As the story unfolds, demons and even an evil god come into play. The best part of Final Fantasy Tactics is that can be incredibly addicting. The battle system offers so much possibilities. Every time you play you can experiment with a different combo of job classes and abilities.